Happy Thursday all! Today's coverage round-up comes for my lovely client PerfectChoiceFunerals.com, who are a leading provider of funeral services in the UK. They recently commissioned a survey as part of a wider study into Britons' views on death. 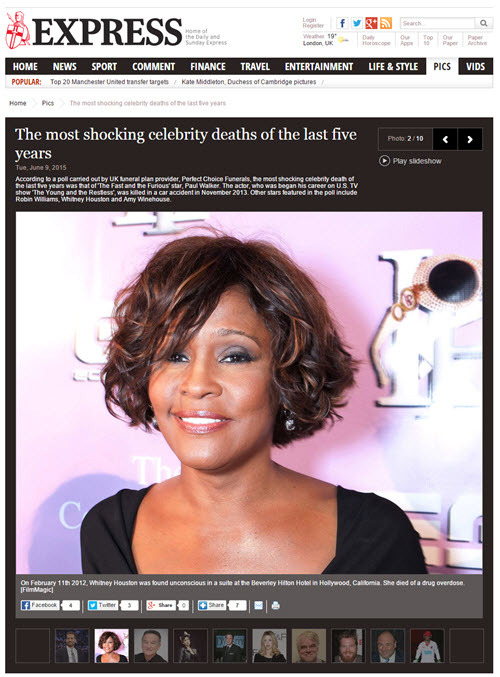 The survey, which asked Britons which celebrity death of the last five years they were most shocked by, was covered on both the Daily Star and the Daily Express websites.